The Duramax 3.0L I-6 is a new turbo-diesel engine produced by General Motors for use in various vehicles, especially full-size half-ton pickup trucks and potentially SUVs. Unofficially known as “baby Duramax”, the engine is an all-new design from the ground up. In May 2018, GM Authority was first to report that the engine has been assigned GM RPO code LM2. 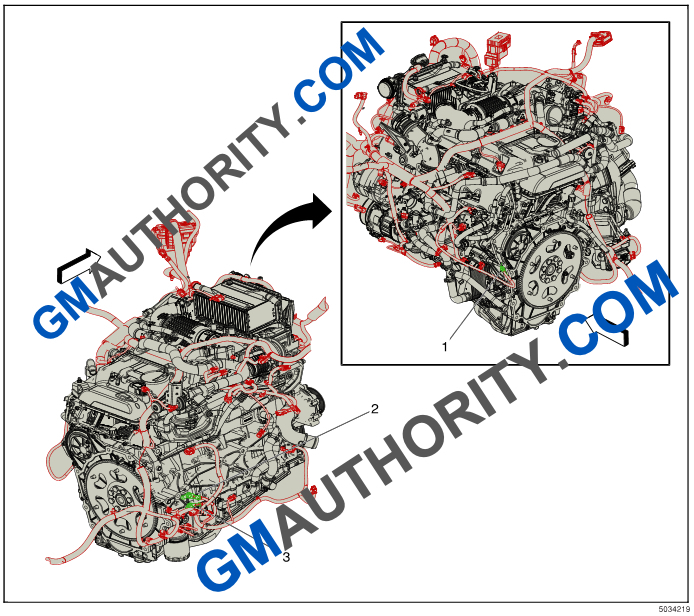 All we currently know about the new 3.0L Duramax diesel engine is that it will displace three liters (3.0L) and have an inline-six (I-6) configuration. Neither General Motors nor Chevrolet have announced any more details about the engine, so that’s all we know for the time being. However, we should note that during the presentation of the all-new 2019 Silverado 1500, GM product chief, Mark Reuss, stated that the new 3.0L Duramax diesel will be class-leading. “One of the new engine choices is an all-new three-liter Duramax diesel, which is an in-line six that builds on our diesel expertise”, said Reuss. “Now I’m not going to go into the numbers today, but some of our competition has already given their numbers on their new diesel, and I am really confident that we’ll have the best-performing diesel in this segment”. In order for the new 3.0L Duramax Diesel to be class-leading, it would need to beat 250 horsepower and 440 pound-feet of torque – which is the output of Ford’s new 3.0L PowerStroke for the 2019 F-150. Full specifications for the 3.0L Duramax Diesel engine are currently not available. We will update this section once we have more information. However, an October 2018 leak suggests that the engine will be rated at 282 horsepower and 450 pound-feet of torque. The Duramax 3.0L I-6 engine was first announced at the unveil event for the 2019 Silverado 1500 on January 13th, 2018. On January 17th, 2018, General Motors announced that the 3.0L Duramax engine will be produced at the GM Flint Engine plant in Flint, Michigan, USA. Follow our GM Duramax 3.0L LM2 news coverage.